Are you struggling to grow your business? Do you want some tips to help you succeed as a mompreneur? When you started your business, you felt excited and motivated because you finally fulfilled your dream of becoming an entrepreneur. 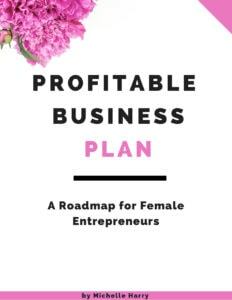 You had big goals for your business and you were looking forward to growing your business. But your reality looks a bit different from your dream. Instead you find yourself investing a lot of time and resources in your business and seeing little or no results. Does this sound like you? Don’t worry.The first thing I want you to know is that you’re not alone. 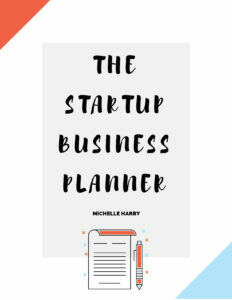 As a mompreneur, juggling family responsibilities and a business isn’t easy.That’s why it’s a good idea to streamline your activities and focus only on the important stuff. 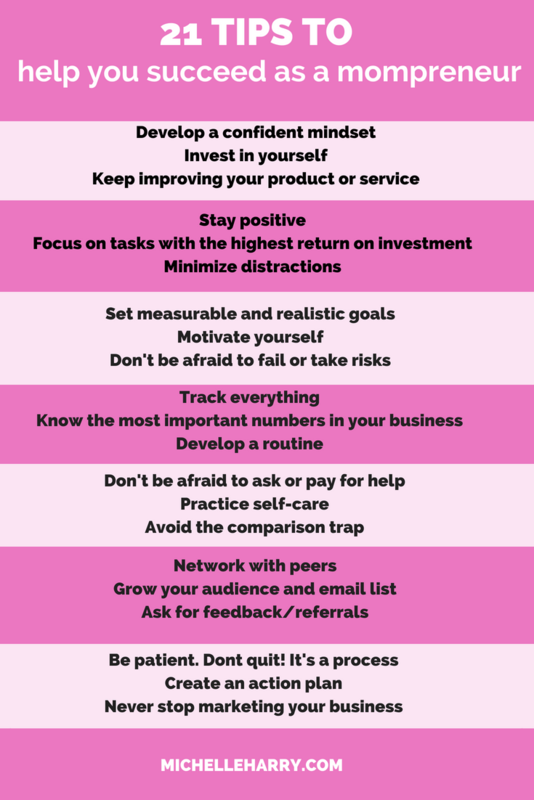 Regardless of whether you’re struggling in your business or doing okay, here are some tips to help you succeed. 1. Develop a confident mindset. 9. Don’t be afraid to fail or take risks. 11. Know the most important numbers in your business. 13. Don’t be afraid to ask or pay for help. 15. Avoid the comparison trap. 17. Grow your audience and email list. 19. Be patient. Don’t quit! It’s a process. 20. Create an action plan. 21. Never stop marketing your business. As a single mom of two, I don’t have time to be everywhere or to do everything. Which means I have to focus on the activities that give me the highest return on investment. It’s possible to succeed as a mompreneur, we just need to stay focused and do the hard work. Are you using some of these tips? Did you learn anything new you can incorporate into your business? Let me know in the comments. Don’t forget to save or pin the graphic above so you can keep referring to it. Liked this post? Share with your friends and on your favorite social media platform.